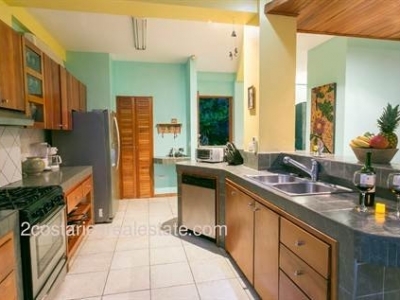 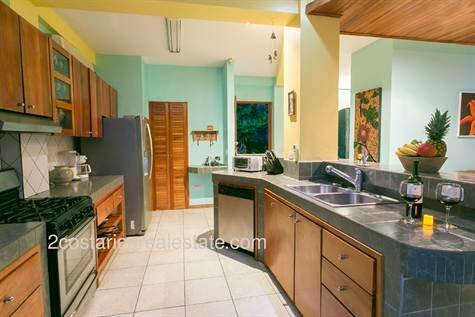 0.71 ACRES – 5 Bedroom Ocean View Home With Pool And Successful Vacation Rental History!!!! 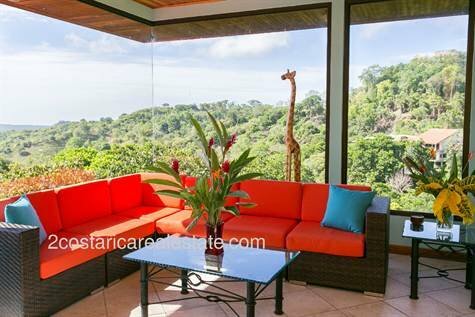 Villa Grande has spectacular views of the South Pacific coastline and the endless valley of African palm plantations. 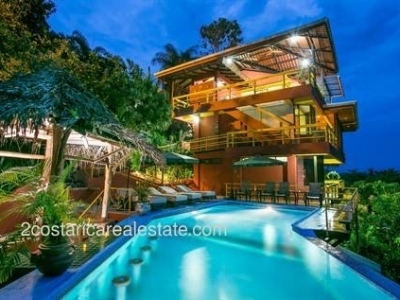 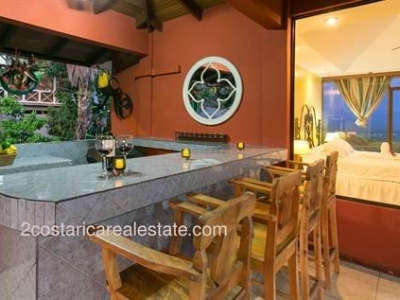 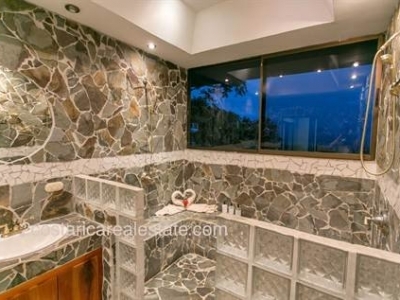 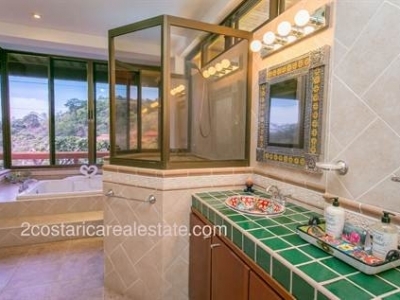 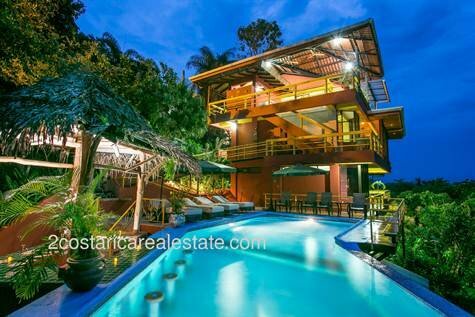 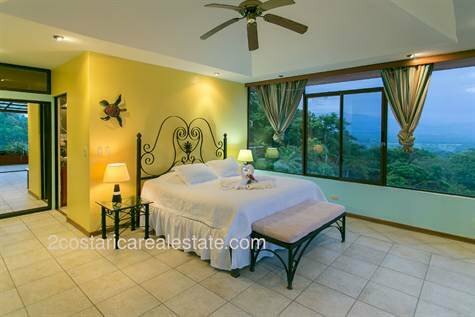 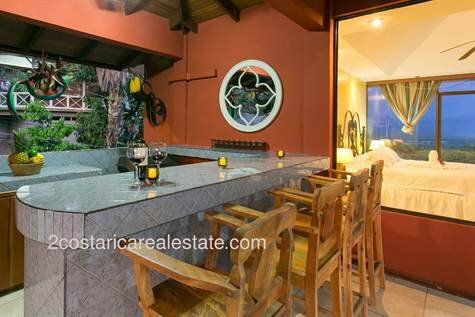 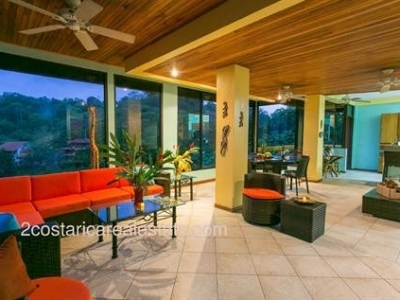 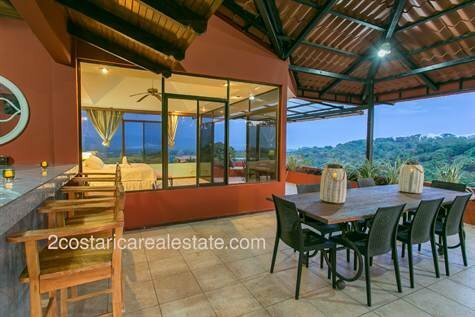 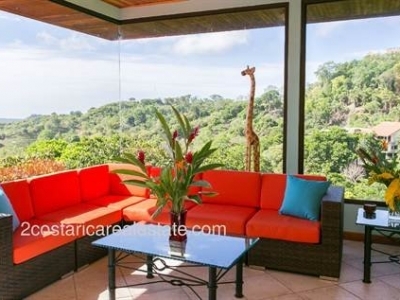 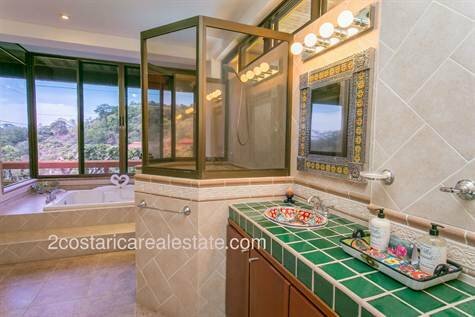 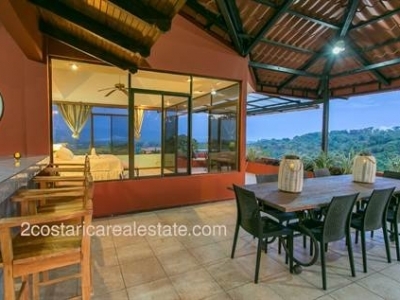 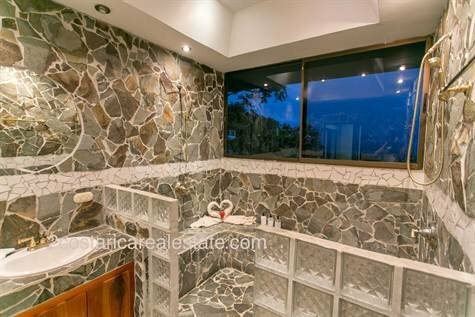 This 5 bedroom, 6.5 bathroom, large covered car garage Villa sits at the end of a private road just minutes away from the center of Manuel Antonio. 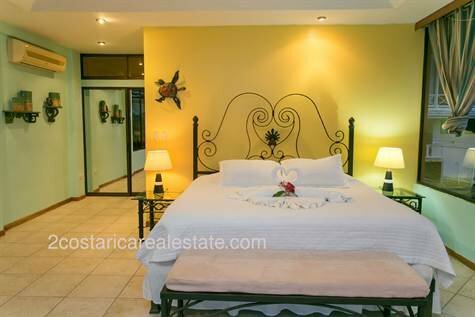 The Villa has been recently renovated and refurnished with fantastic taste and attention to detail and is currently operating as a very successful luxury vacation rental. 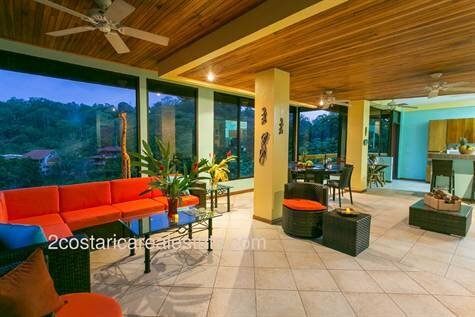 With one of the biggest pools in all Manuel Antonio, including a swim-up bar and fully equipped rancho, Villa Grande is the perfect spot for large groups. 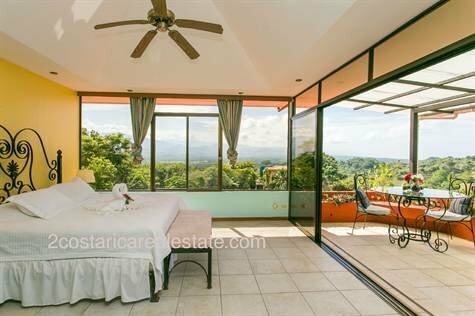 The home’s multi-level floor plan makes it a favorite for tourists visiting the area who can share in the amazing common areas, but also retreat to their own levels and areas of the property to soak in the views and setting. 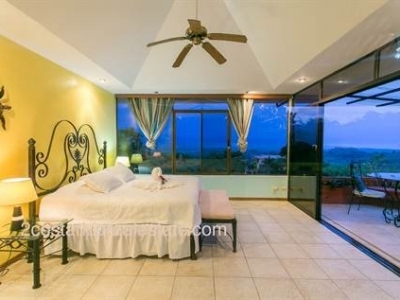 The Penthouse bedroom has the birds-eye view, along with a covered outdoor entertainment area equipped with a bar/kitchen and seating for 12. 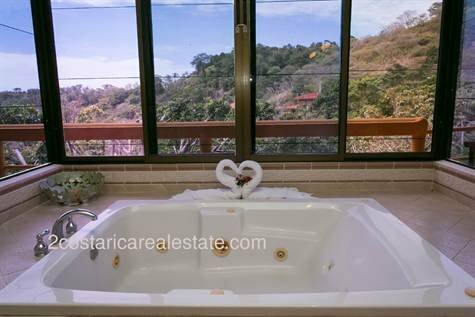 The second level hosts the main kitchen, equipped with new appliances and fixtures, and the living and dinning room all that share a panoramic view of the Southern Coastline and Fila Chonta Mountain range. 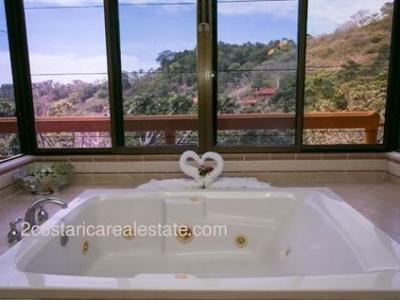 The main level has a large master bedroom suite with a spacious bathroom/spa tub. 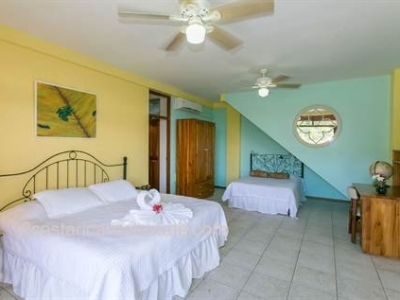 This room has direct access to the large pool from the balcony. 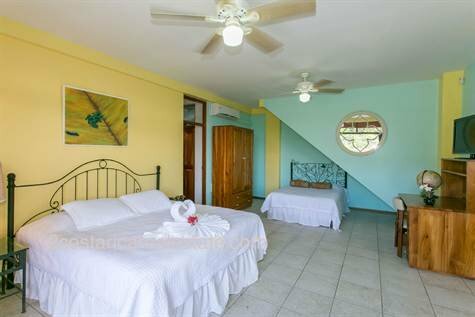 Ground level has 3 large bedrooms with en suite bathrooms, which are ideal for hosting larger groups, families or multiple individual travelers who all want to share space, but have some privacy as well. 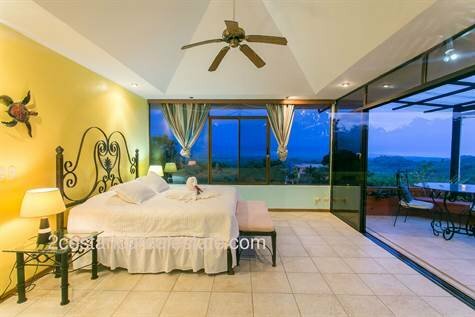 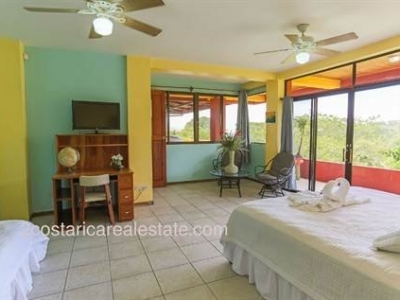 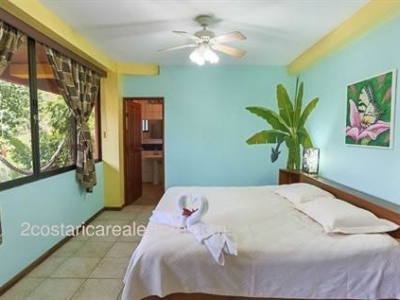 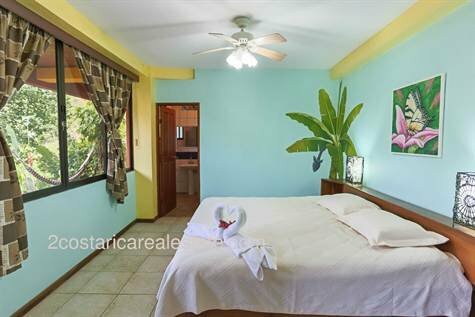 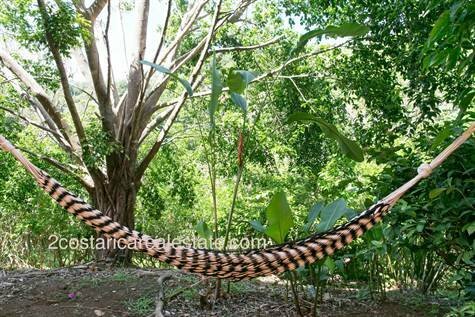 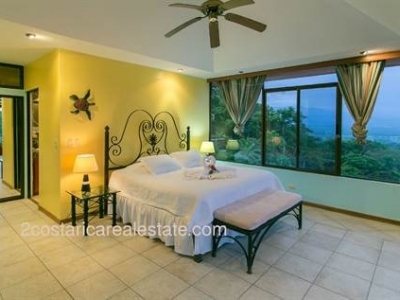 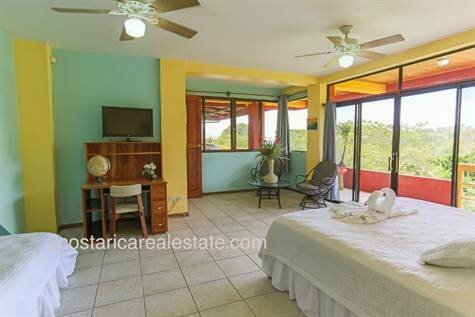 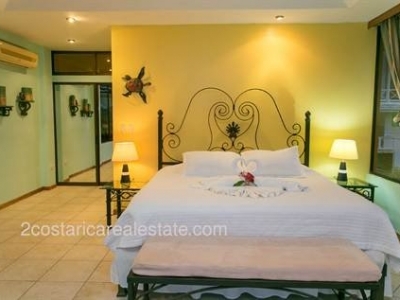 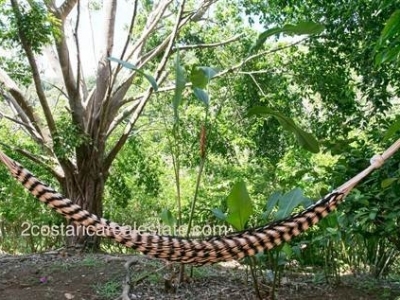 This solidly built house is in a uniquely private area, which provides guests and owners with a sanctuary away from all the tourist traffic and crowds, but also just minutes from all the area activities and conveniences. 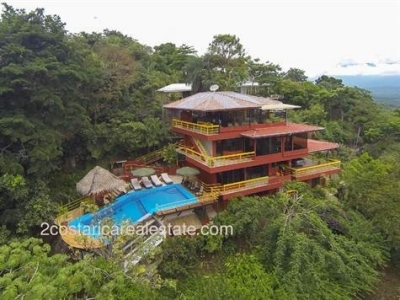 Rarely can you find this much house, such solid construction, great views and a turn key ready business at this price point in the area. 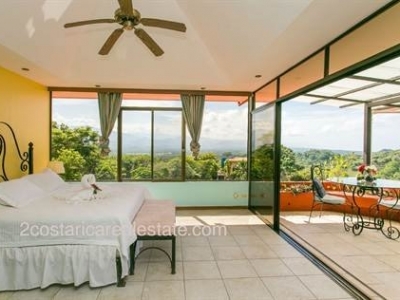 Inquire now for more details.